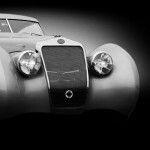 In the early motoring days, when series production did not yet exist, the process of acquiring a new vehicle was more complex, as rolling chassis provided the basis for coachbuilders to design and build highly artistic and fully customized coachworks. 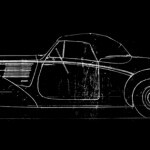 Many elite connoisseurs, racing drivers, famous actors and royalty approached their preferred coachbuilder, requesting a personal body design to be fitted on rolling chassis provided by e.g. 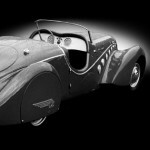 Bugatti, Rolls Royce, Ferrari, Hispano Suiza, Delahaye and more. 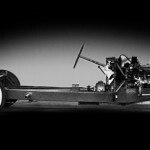 Each coachbuilt car carried the technical genes of the rolling chassis builder as well as the styling genes of the coachbuilder. 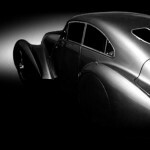 The resulting wide range of DNA combinations led to a variety of unique and often priceless coachbuilt cars. 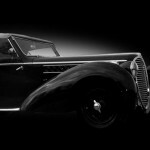 Many iconic creations put a stamp on automotive history, forever associating the owner’s names with a famous brand and coachbuilder.